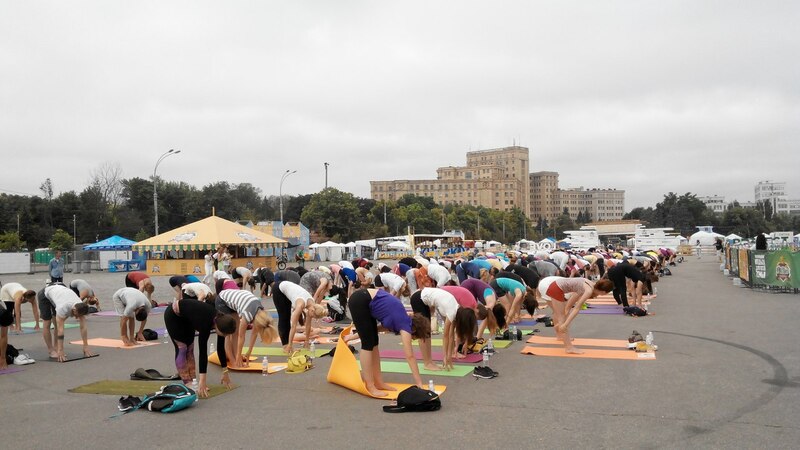 On Monday June 20, Kharkivens celebrated International Day of Yoga in the Euro 2016 fan zone at Freedom Square. 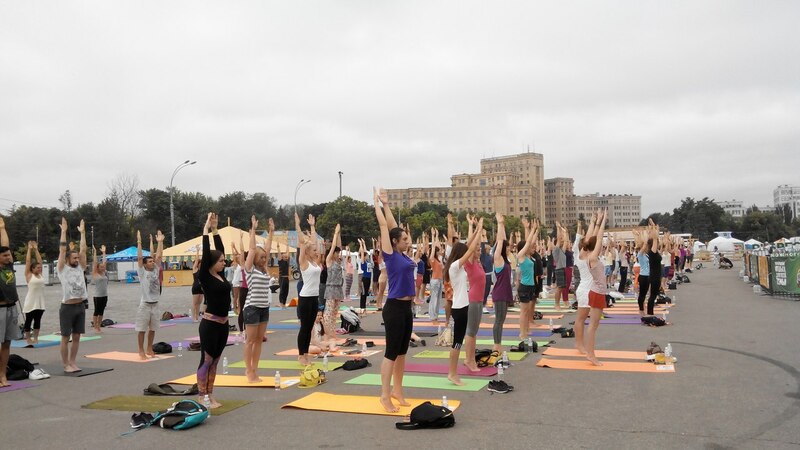 More than 200 people together with instructors of urban schools of yoga performed a morning exercise program. After that they made a flash mob performing huge “people” letters for the word “YOGA”. Anyone had an opportunity to get a free photo in national Indian clothes. 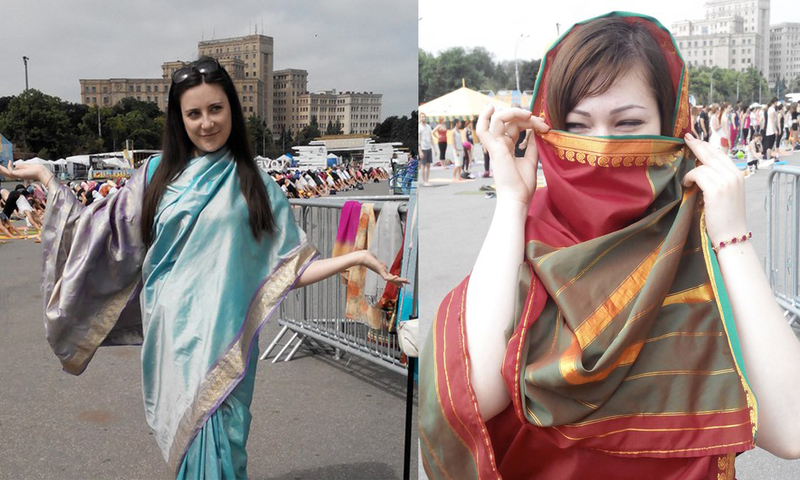 Thekharkivtimes team also could not resist and tried the national clothes. 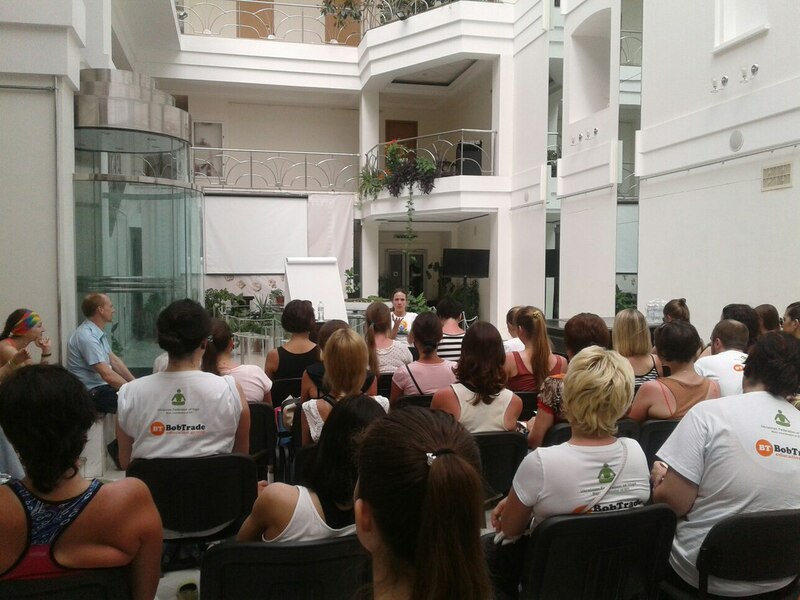 In addition, yoga experts conducted a series of lectures at the gallery AVEC. At the same time, workshops on various aspects of yoga, henna painting, mehendi, as well as the learning of key animals and Indian dances, were held at Feldman Ecopark. 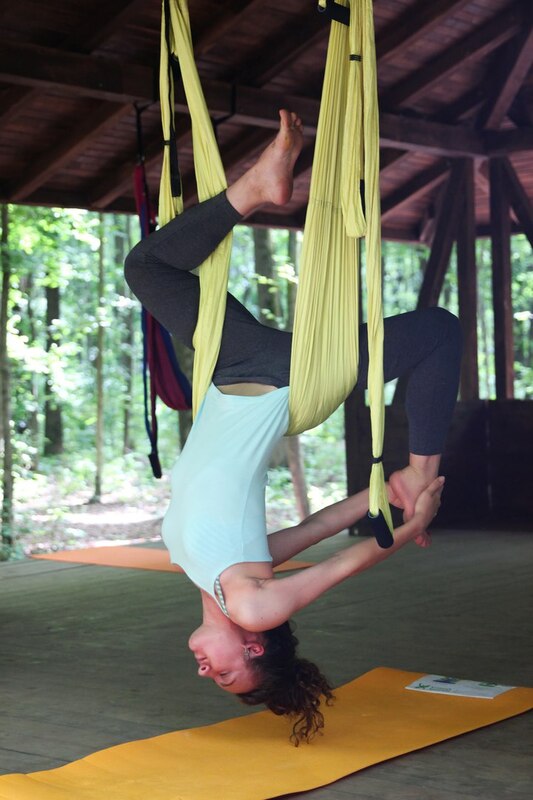 From June 11 to 30, an Exhibition YogaTravel “World through the eyes of yogis” will take place in the street Sumskaya, 70 – “Atrium”. BACKGROUND: The UN General Assembly in response to the initiative of the Prime Minister of India declared June 21 as International Day of Yoga. 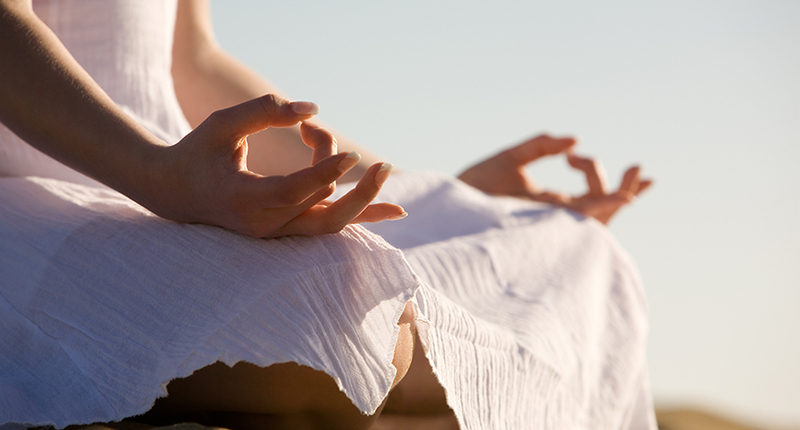 The 1st International Day of Yoga in 2015 was celebrated in 192 countries around the world. 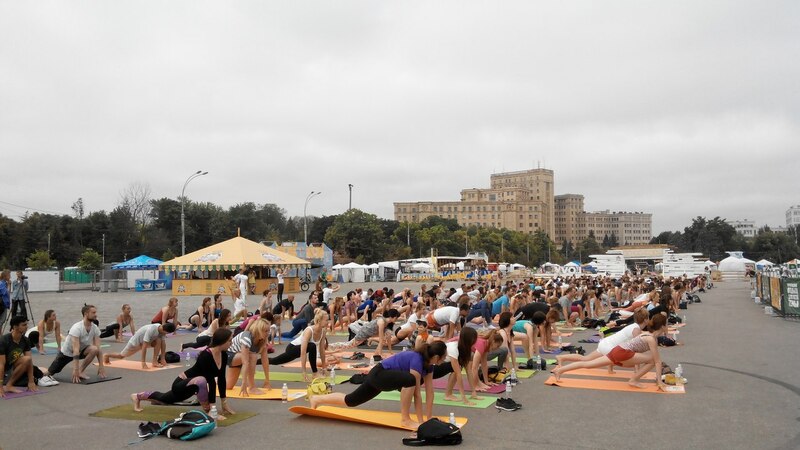 This year the celebration took place in Ukraine on the initiative of the Embassy of the Republic of India and the Ukrainian Federation of Yoga. 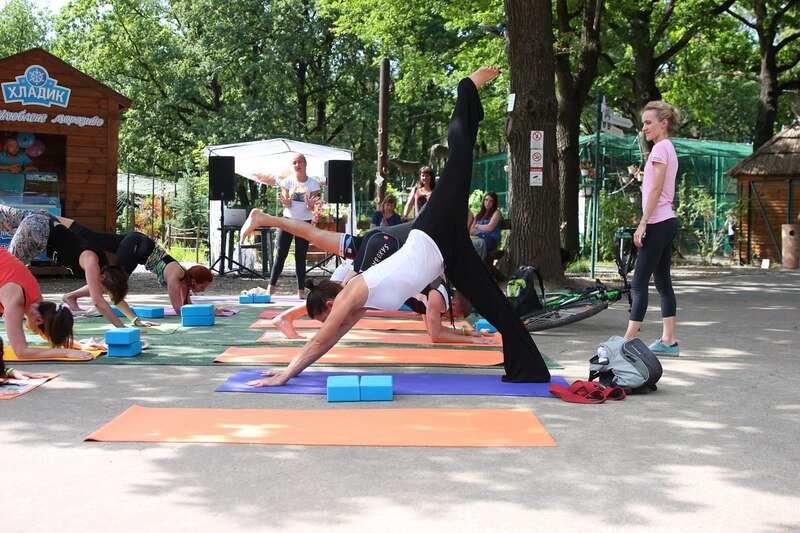 The first 70 registered participants received a Member T-shirt of the International Day of Yoga, the next 50 – karemats for outdoor activities, the remaining 500 participants got bracelets with the inscription “I love yoga”. We also recommend you read: Forest intensive free youth camps, Kharkivens paint each other at HoliPark fest.